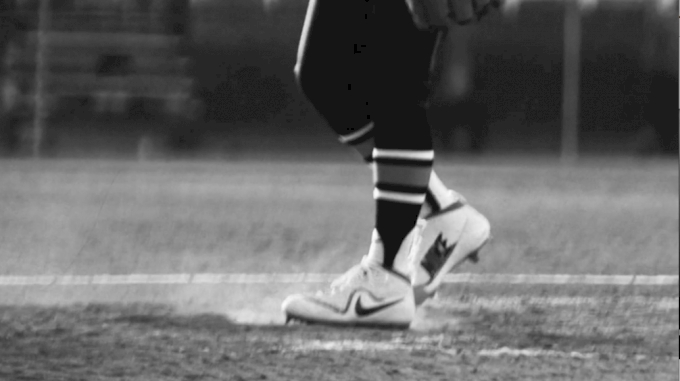 The most difficult, gritty, and yet rewarding position in softball has to be the catcher. You get beat up for seven innings, your knees are killing you after the work is done, and you often get overlooked like an offensive lineman in football. At the end of the day, though, there is no better feeling than seeing your hard work pay off. Sometimes you even get a moment in the spotlight if your pitcher has a great day in the circle or you contribute on offense. The spirit of the catcher never left Jennifer McKibben, assistant coach at Pensacola State College in Florida. McKibben is full of energy and a zeal for the game. The former JUCO softball player made the most of her opportunity as a player. She started her playing career at Tallahassee Community College before finishing with Virginia Tech at the Division I level. At the end of her career with the Hokies in the late 1990s, McKibben was named the defensive player of the year and MVP in back-to-back seasons. Like any great catcher, she transferred those skills to coaching. So what makes McKibben stand out now and appear to be one of the future premiere names in college softball? 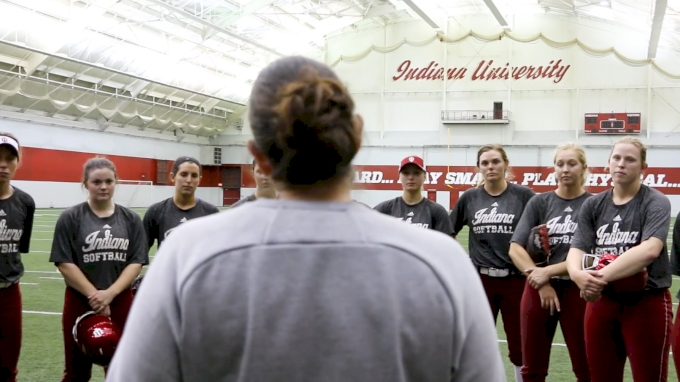 The ideal path to college softball success is being highly recruited out of high school, starting for four years at a major university, and getting to play in the Women's College World Series. That storybook path applies only to a small percentage of players, though. For the rest of the successful softball players in the country, their story might start without a single scholarship offer. Yet their passion to play the sport they love keeps them in the game — often at the JUCO level. McKibben not only understands that path to a successful college career, but she also embraces and cherishes that path. It allows her to apply her own journey to the next generation of players. "Professionally, junior college softball is something that has always been in my blood, both since I played and then coached in it for so long," McKibben told the Mountain West Softball blog in a recent interview. "It presents a healthy challenge that always keeps you satisfied that you are continually changing lives and helping players get to a level maybe no one gave them a chance to — whether it be athletically or academically or lost in the recruiting process. It's a passion to get these athletes better and better in all aspects of their lives." Following McKibben's career path, you know that she's true to what she believes about helping under-the-radar players take advantage of a JUCO opportunity. She knows these players simply need a head start on college — and eventually their career. Or success at the JUCO level could lead them to a Division I program and even greater opportunities. While other coaches in her position might be thinking about building up a track record of JUCO success stories solely to advance in their coaching careers, you get the sense that McKibben would be perfectly content coaching at the JUCO level until the next opportunity comes up down the road. How Is McKibben Impacting Softball Players? The Pensacola State College Pirates did not have a glamorous season in 2017, finishing 22-23 overall. However, the season was a success with players advancing to four-year universities and one player, Kamber Anderson, getting unbelievable experience helping run the softball program behind the scenes. Kamber suffered a major injury before her freshman season, but she continued with the PSC program as a student-manager for two years. McKibben understands the importance of that experience because of what it means for Kamber's future. Kamber was forced to battle through adversity, which is exactly the type of player that McKibben loves to work with. It's part of that catcher mentality to enjoy a good battle. As she described to the Mountain West Softball blog, McKibben is looking for a player who is "not afraid to get dirty, and someone who knows how to meet the moment in tough situations and through adversity . . . selfless players who understand it's always team and family first." That approach is required at the JUCO level. a few players might be recruited to Division I, but for most players these two years represent an opportunity to grow athletically, academically, and professionally. McKibben is a great resource to help today's players navigate the JUCO path and find great success. How far will McKibben's own career journey take her? She briefly dipped her toes in the DI coaching level as an assistant for New Mexico a few years ago. However, she returned home to Florida to continue coaching at the JUCO level. She is home. Perhaps down the road there will be another DI opportunity as an assistant or head coach. One of the rising stars in softball coaching has the experience, know-how (because she's a catcher, of course! ), and commitment to her players to go as far as she wants to go in this profession. We'll see what's next in the years to come. For now, pouring into scrappy JUCO softball players away from the spotlight is where McKibben's focus is.